Apps | Zak El Fassi 's blog - Experiments with Life, Software, and everything in between. Heroku is good. Like, Really good. He’s my best-virtual-friend. And if you’ve never used it, you’ve been missing on a lot. And you should start here. To sum it up in a sentence, it’s a Platform as a Service build by and for developers that makes the product lifecycle easier to handle from build to deploy & run. It supports Ruby, Java, Scala, NodeJS, Clojure, and Python. That’s super Awesome. But it comes with side effects: expensive (for production) and not highly flexible (for out of this world apps). This entry was posted in Business, code, Project JobFinder, Web, Zaigood and tagged apps, heroku, productivity, web on December 29, 2013 by Zak El Fassi. 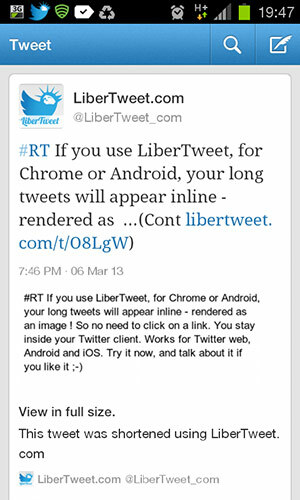 LiberTweet : This is how your longer tweets could appear with this app. 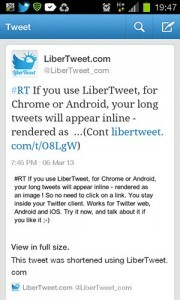 Since its launch a few weeks ago, LiberTweet (the only app that integrates seamlessly with the Twitter web and Android clients to make longer tweets – and also, my new born baby) had gone through some major changes. 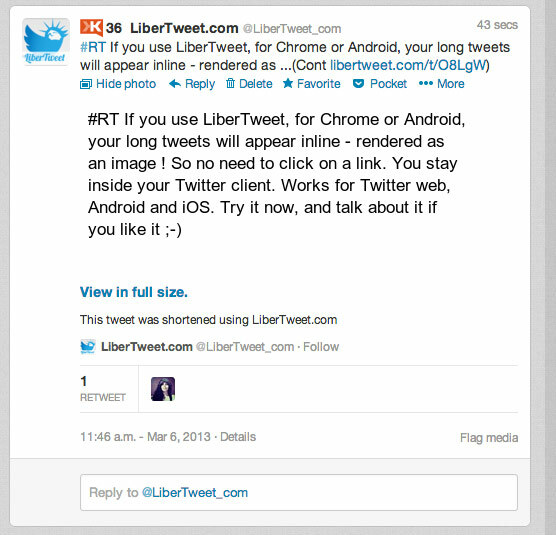 Inside the Twitter Web client. Inside the Twitter Android client. 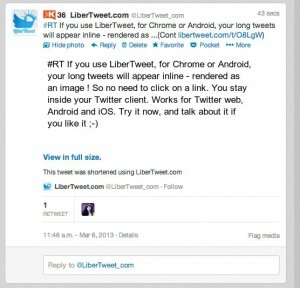 This entry was posted in Apps, Tips and tagged android, apps, chrome extension, tips, twitter on March 6, 2013 by Zak El Fassi.